When will be Fat Albert and the Cosby Kids next episode air date? Is Fat Albert and the Cosby Kids renewed or cancelled? Where to countdown Fat Albert and the Cosby Kids air dates? Is Fat Albert and the Cosby Kids worth watching? This animated series, book-ended by live action sequences and musical numbers, was centered around a lovable, naive, fat kid who is the friend who helps others understand life lessons through his own misadventures. Stand-up comedian Bill Cosby created an animated series which he drew upon his own childhood, growing up in a north Philadelphia housing project. 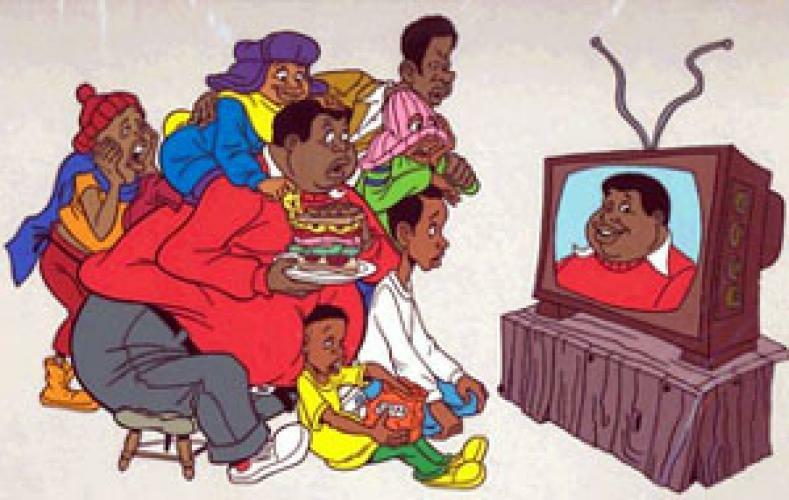 The first appearance of an animated Fat Albert was in 1969, in a TV special that showcased the characters that would go on to be a series which would be aired Saturday mornings beginning in 1972. The Emmy award nominated Fat Albert and the Cosby Kidsran for an unprecedented 12 years on CBS with new episodes created for the first five. In 1979, the show was retitled The New Fat Albert Show. That year, to reiterate the lesson of the day, Cosby incorporated animated segments called The Brown Hornet which detailed the adventures of an African-American crime fighter in outer space, and Legal Eagle which involved a crime-fighting eagle and a pair of bumbling police squirrels.These segments were interwoven within the regular episode. Fat Albert and The Cosby Kids were among the first American cartoons to feature African-Americans as central characters and it was one of the first children's cartoons to focus on educational and social issues among all children but focusing on a lower income neighborhood. Cosby himself requested actual footage of his north Philadelphia neighborhood of his childhood be incorporated into the background of the series. He also showed the animators how he felt an African-American teen would walk and talk outside of an upper middle class, white neighborhood. Fat Albert's friends were Rudy, Mushmouth, Bucky, Donald, Weird Harold, Bill, and Bill's little brother Russell. Together they had lessons of friendship, loyalty, peer pressure and issues that pertain to teens growing up in a changing world which included smoking, stealing, racism, and even drug use. Tame by current standards, but ground breaking for the 1970's. At the end of each episode, the Cosby Kids would sing a song about the theme of the show and Bill Cosby would end the lesson of the day with his own comedic thoughts. In 1984, the show was syndicated and renamed The Adventures of Fat Albert and the Cosby Kids and this was the series last year. EpisoDate.com is your TV show guide to Countdown Fat Albert and the Cosby Kids Episode Air Dates and to stay in touch with Fat Albert and the Cosby Kids next episode Air Date and your others favorite TV Shows. Add the shows you like to a "Watchlist" and let the site take it from there.